1. February 2015. 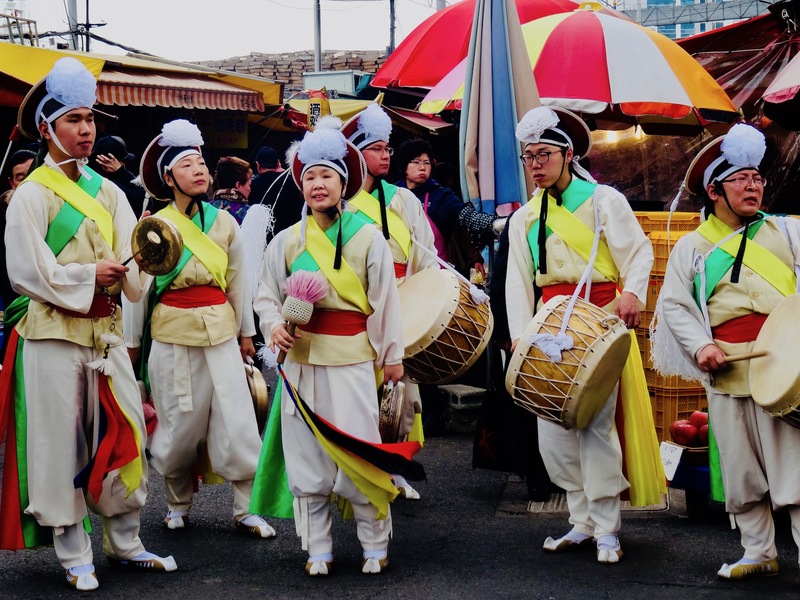 While on the face of it Busan might seem like an unashamedly modern city, there are plenty of opportunities to tap into its traditional roots. 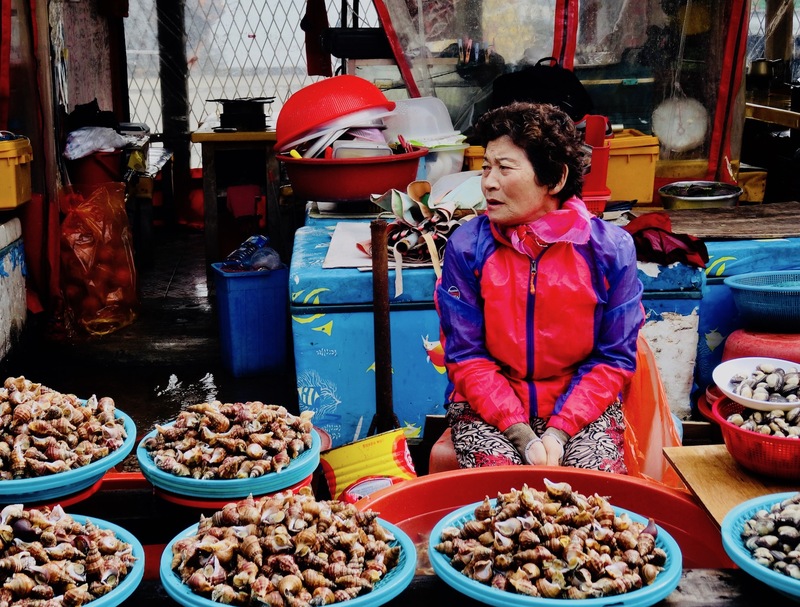 One such experience is the weird and wonderful Jagalchi Fish Market in the commercial district of Nampo-dong. 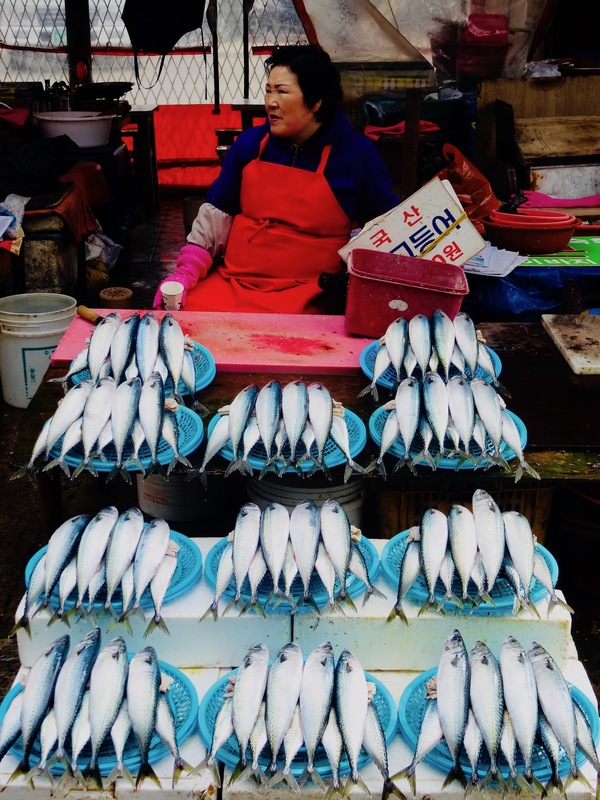 Fittingly located on the edge of Busan Harbour, this is the biggest fish market in Korea! 2. February 2015. The market’s indoor section is a gargantuan multi-story affair home to countless stalls, plenty of restaurants and even a cooking school! But for me the most interesting part was the altogether more rough and ready outdoor area where hundreds of vendors are packed into a dozen or so narrow streets. 3. February 2015. I’ve never been a huge seafood fan and indeed even when it comes to regular fish… well… meh… I can take it or leave it. But I still found the area a fascinating insight into local life. The stall owners are a colorful bunch, a collection of hardened but cheerful locals who didn’t seem to care about being photographed. Better still, there was little evidence of the hard sell culture so prominent throughout Asia. 4. February 2015. Here and there you can duck into one of the shack-like cafes for a sit down and a bite. I tried the fried cod balls at this place, served with a tangy sweet chili sauce. For more on this cool city, have a leaf through my other 5s on Busan. Like these? 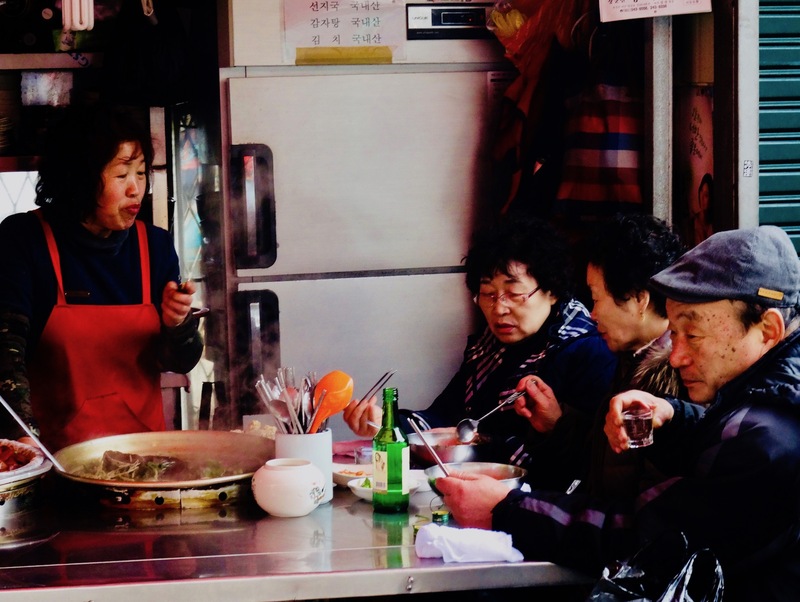 Then check out my various articles from around Korea.